Isaiah Thomas made second team all-NBA, the league just announced. "It's a blessing," Isaiah Thomas says of being named to All-NBA Second Team. "It's not just something for me. It's something for this team." “It’s a blessing,” Thomas said Thursday afternoon, moments after hearing the news. “It’s a blessing from God and from the Celtics for giving me the opportunity to be myself. Isaiah Thomas is first Celtics player on All-NBA since Rondo (2012); first 2nd-teamer since Pierce (2009), per Celtics PR. 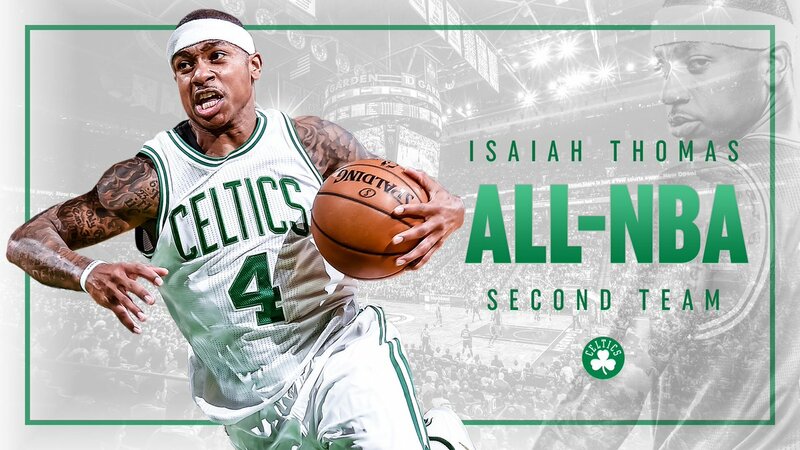 Congrats Isaiah! You have surely earned the honor.